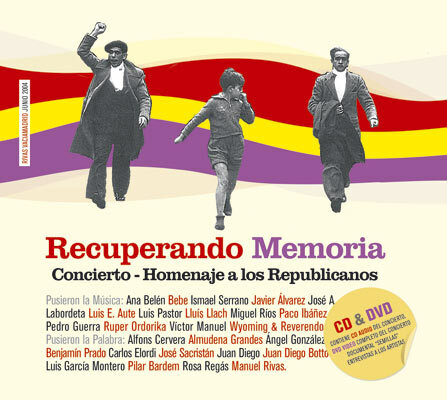 The Association for the Recovery of Historical Memory began in October 2000, when a small group of people gathered at the site of one of the Spanish Civil War’s bloodiest civilian massacres. 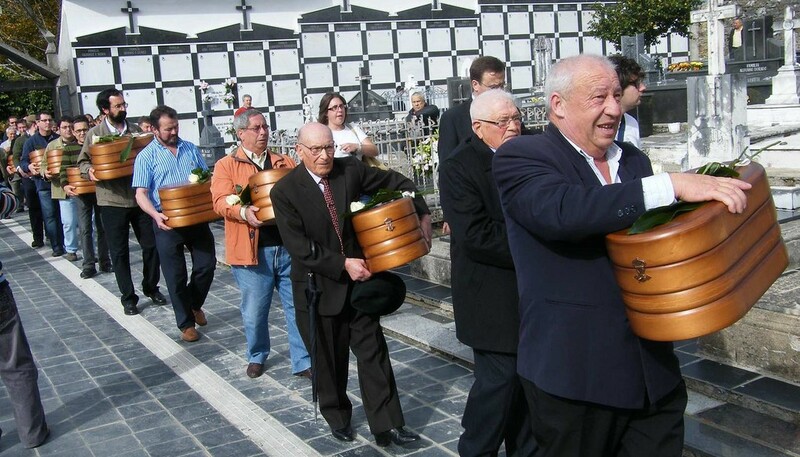 There, in the remote village of Priaranza del Bierzo, in Spain’s northern region of León, their mission was to locate and exhume a mass grave containing the remains of 13 Republicans, known to history as the Priaranza 13. They had been executed by a group of the Falange, the pro-Franco fascist movement, on 16 October 1936. The exhumation broke the silence surrounding the fate of thousands of civilians executed during the 1936-39 Civil War and the 1939-75 Franco regime. It is estimated that 200,000 men and women were killed in extrajudicial executions during the War, and another 20,000 Republicans murdered by the regime in the post-war years. Thousands more died as a result of bombings, and in prisons and concentration camps. Since our inception, ARMH has worked to defend human rights. The legal advice we have sought has led to cases in the Spanish Supreme Court, Chile, Argentina and Guatemala. The UN has also requested that Spanish courts not apply limitation periods to crimes against humanity. In 2009, the European Court of Human Rights ruled that, as a general principle, an amnesty law is incompatible with states’ duty to investigate acts of torture or barbarity. This paved the way for ARMH to start exhuming mass graves. We have also placed historical memory on the political agenda. In 2002, our work led to a motion by the national parliamentary Constitutional Committee condemning the Franco regime’s leading role in bringing about the Civil War. 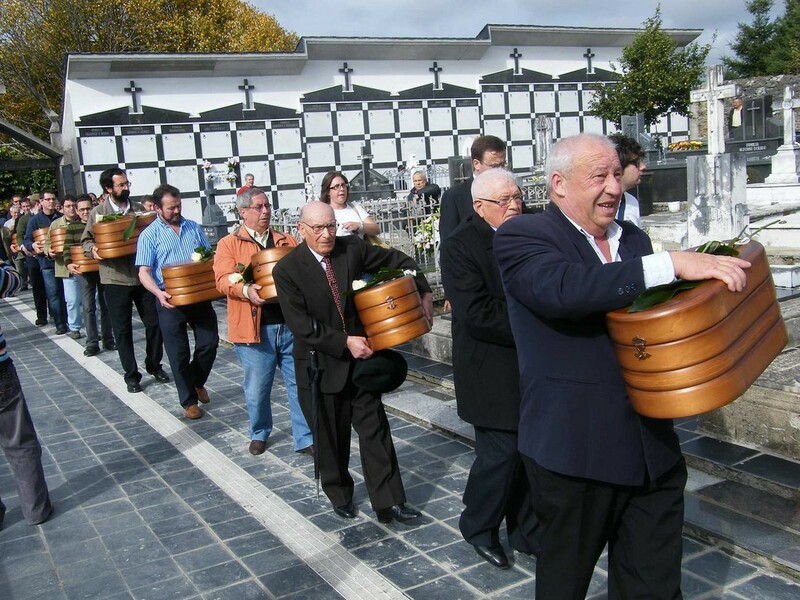 The repercussions of that first exhumation in Priaranza del Bierzo were immense: hundreds of letters, phone calls and emails began pouring in about extrajudicial executions and disappearances around the nation. A common pattern emerged of kidnapping, assassination and disappearance. We recognised the need for a non-government organisation to centralise information about the cases that were being brought to our attention, with the ultimate goal of answering all the questions that the Spanish State had never answered, and to this day still has not. In December 2000, ARMH was officially registered as an association with the Interior Ministry. Since then we have been developing a national archive of all victims of forced disappearances at the hands of the Spanish state. In many other countries, recognising those who have died in war, and the pain of those left behind, is supported by governments of all persuasions. There is a collective mourning and commitment to remembering, captured in the phrase, “Lest we forget”. In Spain, however, despite the transition to democracy, which began in 1975, this topic has been taboo. The Spanish Transition has been lauded as peaceful, but this has been at the cost of remembering. The common phrase, “Those who cannot remember the past are condemned to repeat it” is often attributed to British wartime prime minister Winston Churchill, but was in fact from the Spanish-born philosopher George Santanaya. 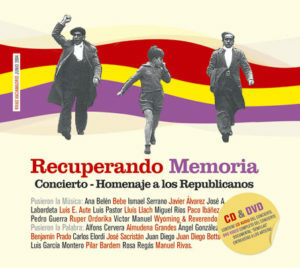 The entire legal framework of the Transition was built around a Pact of Forgetting (el Pacto del Oblivio), a bipartisan commitment to forgetting: “la desmemoria”. This pact was enshrined in a 1977 Amnesty Law preventing prosecution of public officials or agents for war crimes and human rights violations. There was no accountability to victims who were forced into exile or forced labour, tortured or executed. This law, covering all allegations prior to 15 December 1976, remains in force. This is despite calls by the United Nations to repeal the legislation. Since 2000 ARMH has been working to restore dignity to the victims of the regime, and to demand justice for those who have not had a voice within our democracy. The passing of time and of members of the generations that suffered under the regime has complicated the task of locating mass graves. Thanks to residents, research archives and information obtained by relatives, it is now possible to locate burial sites and recover some remains more than 70 years after executions took place. The very existence of mass graves was used by the Franco regime to instil fear in the countryside, which remains today. Successive democratically elected Spanish governments have neglected their duty to provide justice. Little has been done other than to prohibit and discourage family members from recovering the remains of their relatives. This neglect has done nothing to dispel that ingrained fear— in fact, it has probably exacerbated it. This indifference also shapes broader societal attitudes to locating and exhuming mass graves. When ARMH has worked in towns and villages, residents will often speak in hushed tones and look around them as they offer their accounts. There is a single, overarching purpose to ARMH’s activities of historical research, search, exhumation, and identification: the return of victims’ remains to their families. Much of this work depends on seeking out witness testimony as well as sifting through public records. Since 2000, all information provided to the Association has been classified and digitised. Official archives are central to the Association’s work, but this information is often fragmented and incomplete. We have gathered and consolidated information from various databases, such as death notices, and military records. Submitted 1300 cases to the UN Working Group on Enforced Disappearances. Each case has been rigorously documented with birth, marriage and death certificates, proof of military service and other documents. The cases date back to the start of the Spanish Civil War on 18 July 1936. They include an unconfirmed 1956 case of a man shot in Madrid’s Almudena Cemetery (Madrid) and buried in a mass grave within the cemetery. Archive of cases of enforced disappearance held by ARMH and examples of details provided to the UN. 2.Collected and analysed handwritten letters from relatives of the Disappeared, relating to approximately 200 cases. These personal accounts were sent to our association from people who have known their relatives were missing, and more than 70 years later, are ready to initiate a search for their loved ones and want their stories heard. Letters received regarding the disappearances and information on diverse themes. 3. Gathered and analysed some 15,000 emails from relatives protesting against disappearances, as well as informants recounting cases of mass graves located in their towns. ARMH’s work is to piece together this information to provide a name to those buried in hundreds of mass graves across Spain. Thanks to these informants, we have information on more than 400 mass graves, many still awaiting exhumation. Other graves, for various reasons, have been destroyed. We call these mass graves “crime scenes” even though they are not recognised as such under Spanish law the 1977 Amnesty Law. We emphasise that the only people in contact with the crime scene are those involved in opening the mass grave. This makes rigorous documentation of all steps and actions critical, in order for a legally valid report to be produced. During every exhumation, ARMH attends the nearest Guardia Civil (police) barracks to report the discovery of human remains with obvious traces of violence. This serves as a trigger to formally involve the criminal justice system. This system has failed repeatedly and resoundingly to seek justice for the victims, abandoning the task of recovery and identification of remains in the hands of associations like ours. Once we are alerted by relatives that they have a missing family member, the Association undertakes a search of various archives such as military, municipal, public administration and historical sources. Since the year 2000 all information provided to our association has been pertinently classified, digitalized and collected from various databases. As they are cases of the disappearances, notices of death, records of the repressed of the province X, etc. Once we receive notice from the relatives that they have a missing family member a search of the various archives such as military, municipal, public administration, historical, etc. Historians, investigators and relatives, who have realized the terrible repression of all the men and women during seven decades, consult these archives. Notice of Death, Military Causes and notices of death sentence. Database containing details of persons condemned and their corresponding number referring to the military cause in the Province of Leon. Witness testimony and information from public records allows us to determine a likely place of burial. The next step is an archaeological survey. Once the first skeletal remains are detected, we can start to define the shape and size of the grave. All evidence, including the position of the skeletons and any nearby objects, must be meticulously collected and documented. The major difficulty is intermingled, or overlapping, remains, a common feature of mass graves into which victims were thrown in in no apparent order. This requires meticulous archaeological methodology to individualise the remains for identification. Fractures and signs of projectile trauma and perimortem (at or near death) torture contribute to confirming the cause of death. The remains are extracted and separated, and placed in a box marked with information identifying the grave and the individual, for transfer to the laboratory for forensic analysis and identification. We are thankful for the services of the forensic anthropologists who voluntarily attend our laboratory for altruistic reasons to contribute to the recovery of historical memory. Where necessary, the Association orders DNA tests to identify victims. This requires us to remove a fragment of the femur and two molars, which, together with the saliva of a living relative, are sent to a private laboratory for genetic analysis. As these laboratories charge for their work, the Association covers the cost of these tests. We cover all costs incurred in opening a mass grave on the premise that families should not have to pay for the search for their loved ones. It is rightly the responsibility of the State to help redress the human rights violations committed during the Spanish Civil War and Franco regime. Opening a mass grave is, above all, an educational task. Young Spaniards are still not taught the truth of their own history in schools. The official recognition that should be paid to victims and their relatives has not been forthcoming. We seek to redress 76 years of official neglect, oblivion and denial. It is for this reason that the return of the remains in the presence of the family members, residents, volunteers and members of the public is an essential act of recognition. 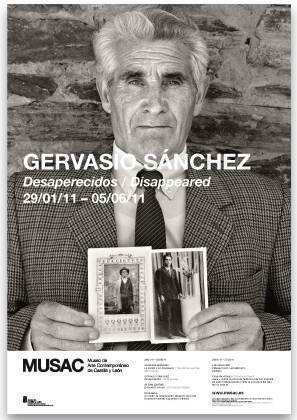 Spain owes a debt to the victims and their relatives. The archaeological team engages with all visitors to exhumation sites, enabling them to learn first hand about the nature and purpose of recovery of historical memory. We have psychologists in attendance at the graves to emphasise the importance of public exhumation, for both the relatives recovering their loved ones, and for the townspeople. Public exhumation provides clarity and closure to a history that they have heard throughout their lives, but probably only in hushed tones. ARMH manages more than 5,000 volunteers, many of whom have been with the association since its inception in 2000. They include relatives of the Disappeared; professionals such as archaeologists, anthropologists, historians and filmmakers; and students. They all recognise the Spanish State’s abandonment of its human rights obligations. The institutionalised forgetting that has continued under successive governments since the Transition to democracy has changed the way in which thousands of volunteers see the past. One of the association’s most important milestones came in summer 2002, with the international community’s recognition of the opening of mass graves in the Leones district. This brought together more than 20 volunteers from different countries. The management of this volume of human capital has enabled us to more than 150 mass graves throughout Spain, and identify more than 1,400 of the Regime’s victims since 2000. Our work has restored an identity to many victims, returned their remains to relatives and brought about institutional recognition and dignity to victims and their families who were denied this for so many years. As most of them are not trained in archaeological methods, they depend on the guidance, explanations and advice of the archaeologist supervising the exhumation. For our volunteers, this work is a source of immense pride. For the professionals who lend their time, volunteering with ARMH is about much more than lending their expertise: it also builds a shared vision of humanity. Without their efforts, our attempts to restore justice and dignity to the victims of the War and dictatorship would be impossible. ARMH is an incorporated, not-for-profit, non-government organisation. The Association is legally incorporated under the Organic Law 1/2002, of 22 March, as a not-for-profit entity. You can read more about the Association’s aims, objectives, organisational structure and governance framework here (in Spanish). A guiding principle of the Association is that relatives should not be expected to pay any of the costs of locating, exhuming or identifying the remains of their loved ones. Since 2011, ARMH has received no government funding for its activities. This is despite United Nations statements that exhuming and returning remains is a responsibility of the Spanish state. Member subscriptions help to cover some of the centre’s running costs. From 2007-2011, ARMH received grants ranging from 45,000 to 65,000 euros from the Ministry of the Presidency (the Prime Minister’s department) for activities relating to the victims of the Spanish Civil War. This funding helped us conduct 10 exhumations, covering about 20 per cent of the cost — the remaining 80 per cent came from the work of hundreds of volunteers. The table below lists grants from the Ministry of the Presidency, for projects relating to victims of the Civil War and the Franco regime, by performance area, from 2006-2010. It also shows funding ARMH’s funding in the context of total government funding for similar projects. To collaborate in the development of a comprehensive archive of the Spanish Civil War with the aim of preserving historical memory. through the coordination and promotion of research, engage in collaboration with domestic and global entities that share similar goals. To serve as a platform and repository of information for researchers and organisations, in and outside Spain. merge various archives into a single repository, to facilitate public and academic research, and to develop principles and procedures to support research. work through all legal channels available, for the recognition and redress of the injustices suffered by victims of the Franco regime, by all legal means. promote public recognition of the founders of Spain’s first democracy, the Second Republic (1931-39, that is for all the men and women who protested against the dictatorship for the reestablishment of democracy. Disclosure and dissemination are among our main objectives. ARMH organises and participates in congresses, conferences and courses in various Spanish and foreign universities. We also want to recognize the Republican men and women who built our first democracy during the Second Republic (1931-36), “to give dignity to those that never lost it”. One such an event was a collaboration with the Municipality of Vaciamadrid to stage a concert tribute to “recovered memory”, on 24 June 2004. Among the crowd of 25,000 were 741 Republican men and women. ARMH works regularly with film makers, photographers and artists. We have collaborated with renowned photographers such as Gervasio Sanchez, known for his work on war zones and the desaparecidos of Latin America, Asia and Europe. The Association has been the subject of numerous audiovisual works. These include the classic documentary “Los Nietos” (The Grandchildren) by Marie-Paule Jeunehomme to “The Wave” a modern and innovative film by Sara Vanagt and Katrien Vermeire. The Association has also built up a collection of victim and family testimonies filmed on camera, so this valuable information was not lost. We collaborated with the University of California San Diego (UCSD) and other organisations to create the Spanish Civil War Memory Project. Both are available on loan to organisations. Use our form under the “Contacto” tab on our home page to email us. The participation of international volunteers from various academic disciplines has been invaluable to raising awareness. Theses and articles in peer-reviewed journals have contributed to scholarship and awareness of ARMH worldwide. Student volunteers from countries such as Japan, United States, Australia, Belgium, France, Great Britain and Canada have worked with us on site, thus forming a new and international humanitarian brigade. Our Association has worked with prestigious national organizations, including the Spanish National Research Council (CSIC) and the Aranzadi Society of Sciences, to create a body of audiovisual work on historical memory and exhumations. In 2015, the Association for the Recovery of Historic Memory (ARMH) was awarded the ALBA/Puffin award for human rights activism. Endowed with $100,000, the ALBA/Puffin Prize is one of the largest awards for human rights worldwide, awarded on an annual basis by ALBA and sponsored generously by the Puffin Foundation, with the goal of honouring the International Brigades and to connect our inspiring legacy with contemporary causes. Since our inception we have taken advantage of new online platforms and technologies to make information more widely available. 1. Ensuring compliance with domestic and international legal frameworks pertaining to the search for disappeared persons, both from the period of the civil war and the post-war period, officially promoting investigations, exhumations and identifications in accordance with international protocols developed by archaeologists, anthropologists and forensic specialists. This is a basic task in our duty in the field of human rights. 2. Development of a group of studies of the situation around historical memory of the Civil War and Dictatorship through the media and education system, from dictatorship to democracy. 3. Recognition of the role of Spanish Republicans, who conceptualised and developed the foundations of Spanish democracy. They brought about Spain’s first democratic general election in November 1933, which provided universal suffrage to both men and women. We believe this should be recognised and commemorated as the founding date for democracy in Spain, as is the case in other leading democracies of the world. 4. Adoption of an urgent decree to remove all symbols of the Franco regime, including monuments, plaques and official logos, street names, as soon as possible. 5. The creation of a state museum of the Civil War and opposition to the Regime. A priority is development of a new official discourse that ends the false moral equivalence that is a hallmark of the Transition. Comparing those opposed to the Franco regime to be similarly recalcitrant reactionaries to the old regime. 6. Digitise military archives to make them readily available and accessible to interested individuals via the Internet. It is a basic right of citizens to access official documents necessary to locate their missing relatives, which was prevented through many years of democracy. 7. The annulment of all summary judgements that led to the executions of more than 50,000 Republicans after the war. These were handed down by courts that lacked any legitimacy. This should be done via official, symbolic and definitive act of recognition that restores the reputation of these citizens. 8. Public recognition of all public and private buildings and infrastructure built by political prisoners, through its signage highlighting their contribution. All private companies that benefited from forced labor should contribute to a compensation scheme for the remaining survivors. The monument to Franco’s rule, the basilica at The Valley of the Fallen, should acknowledge the work of 12,000 political prisoners on its construction, and explain who they were, and how and why it was built. 9. Creation of a Commission of Historians to generate a major investigation into the Spanish Civil War and dictatorship to be admitted in an official version of events ratified by the Spanish Parliament for the purpose of creating a Truth and Reconciliation Commission. 10. A public act of recognition, by the highest institutions of the State, of the men and women who fought in defence of democracy and liberty.